Twelve years! Twelve freaking years! Yes, there have been longer droughts by teams trying to get to .500 in a season. In fact, Brewers fans probably recall that the Pirates played under .500 right alongside Milwaukee for years – and kept on going. 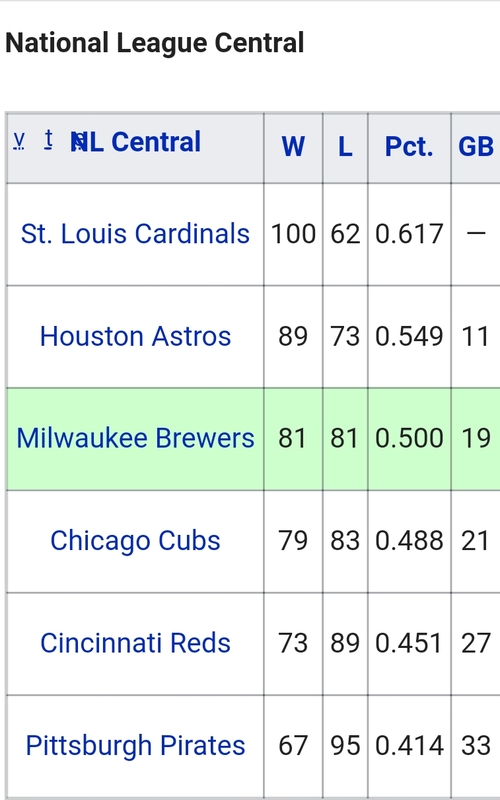 Their 20 seasons of under .500 ball (1993-2012) is the all-time record, so it’s kind of fitting that the Brewers beat the Buccos to shake the .500 monkey off their backs. Going back through Brewers franchise history, 1993-2005 was the longest run of futility. While 1970-77 had some extreme lows, it was expected since the team had been brought to Milwaukee as a second year expansion club. The years immediately following the 1982 World Series may have been a downer at the time, but the 1983 team actually posted a 87-75 record. After all the prior success, this was a huge disappointment and it made the seasons leading up to 1987’s “Team Streak” feel longer than what they probably were. The “Team Streak” season kicked off a nice period where the Brewers finished above .500 in five of six straight seasons. They peaked at the end of that run with a 92-70 record in 1992, and finished four games behind the first place Toronto Blue Jays in the American League East. The Brewers appeared to be poised to continue their winning ways, but Paul Molitor defected to the Blue Jays in the offseason. The team backpedaled to a 69-93 record in 1993 – 23 less wins than the year before. And that’s where the long stretch of futility began. Milwaukee played better in 1994, but was still below .500 (53-62) when the player’s strike ended the season early. The 1995 season brought a historically low win total (65) that equaled the 1972 and 1970 efforts. The team sniffed the .500 mark in 1996, but fell short at 80-82. They won the final three games of the season, but of course by then it was too late. An 11-16 record in May and 12-16 mark in July were partially to blame for the sub-.500 year. 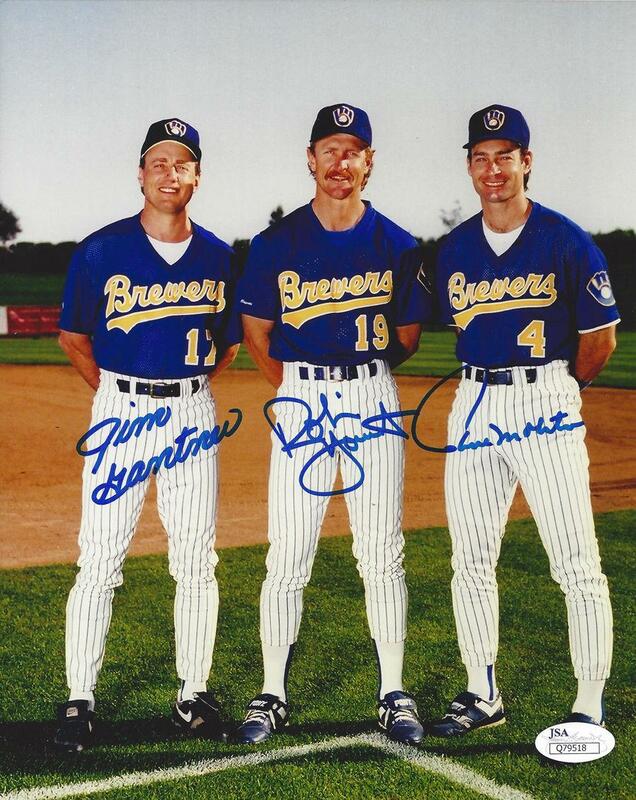 The Brewers closed out the decade with four straight seasons of win totals in the 70’s. Along the way they switched from the American League Central division to the National League Central division. Miller Park rose up behind County Stadium and opened in 2001, but the team fizzled to the tune of a 68-94 record in their new home. Year No. 9 in the streak turned out to be the lowest point in Brewers franchise history. 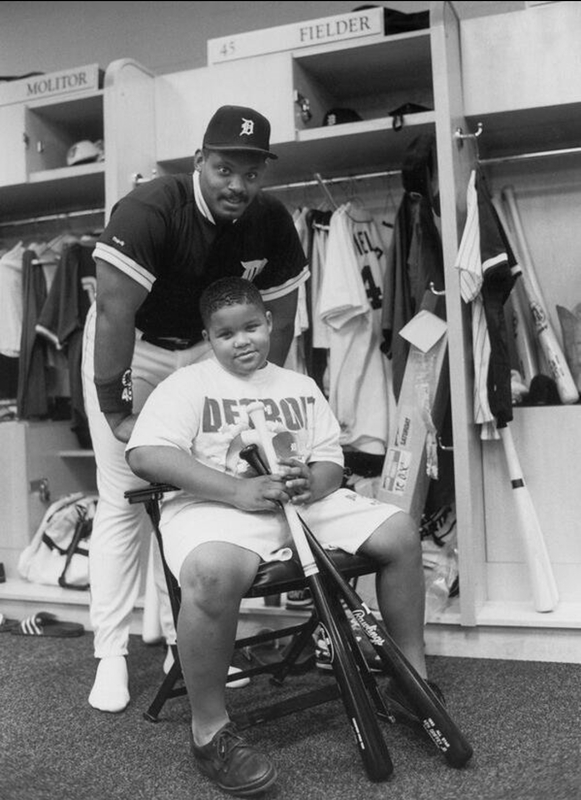 2002 was so horrible that the only high points came off the field – Prince Fielder being drafted in the seventh round and Doug Melvin taking the reins as General Manager after the awful season ended. Milwaukee turned in a 56-106 record, 41 games out of first place. The team won on Opening Day, but played to a 3-12 record and manager Davey Lopes found himself on the unemployment line as a result. Even the All-Star Game played at Miller Park was ugly – how could anyone forget the infamous 7-7 tie game? Milwaukee remained in last place in 2003, but moved back up in the win column to 68 wins. Doug Melvin plucked speedy Scott Podsednik off the waiver wire and his contributions helped improve the team. The team had a similar record in 2004, but Melvin continued rebuilding his club. In December, 2003, he made a huge trade when he sent Richie Sexson, Shane Nance, and Noochie Varner to the Arizona Diamondbacks for Lyle Overbay, Chris Capuano, Craig Counsell, Chad Moeller, Jorge de la Rosa, and Junior Spivey. Hardy wasn’t the only youngster that played for the team in 2005. Rickie Weeks, Bill Hall, Prince Fielder, and Corey Hart all spent time on the new look team managed by former Brewers catcher Ned Yost. Doug Davis and Chris Capuano anchored the starting pitching, each with 35 starts. Cappy had 18 wins by the end of the campaign – the most of any Brewers starter since Teddy Higuera reached 20 wins in 1986. Ben Sheets, Victor Santos, Toma Ohka, and Gary Glover got most of the remaining starts, but Wes Obermueller and Rick Helling also saw time in the rotation. In the bullpen, guys like Kane Davis, Jose Capellan, and Mike Adams all had earned run averages under 3.00, but they all made less than 20 appearances each. The real 1-2 punch in the bullpen was Matt Wise (3.36 ERA in 64.1 innings) and Derrick Turnbow (1.74 ERA in 67.1 innings). Turnbow had 39 saves on the season and struck out nearly a batter per inning. The Crew scored 726 runs and allowed 697 in 2005. They were a bit flat in April and went 10-13. Milwaukee only had one straight-up .500 month – a 14-14 May. Their best month was September when they posted a 16-11 mark, and July was similar at 16-12. Those successful months helped the team to a 39-35 record after the All-Star Break, and was quite a turnaround from their low point of eight games below .500 on June 21. You could pretty much flip the Brewers record at home versus what they did on the road. In Milwaukee, the team was 46-35 and on the road they were 35-46. They were 21-21 in one run games and 8-7 in Interleague play. St. Louis was the biggest pain out of teams the Brewers played often as the Cards won the season series 11-5. But the Crew made up for it by going 10-6 in games against the Cincinnati Reds. After a 12-9 win over the Reds on Monday, September 26, the Brewers found themselves at 78-78. They went on to take three out of four games in the series to put their record at 80-79 going into the final weekend in Pittsburgh. First year owner Mark Attanasio had given tickets away to the final home game with the Reds, and that brought in a crowd of 27,008 on a weekday. The Crew started out with the 6-5 win to assure themselves of a .500 season – and had to come from a 5-0 deficit in the top of the sixth inning. They scored two runs that inning and then four more in the seventh on two-run homers by Geoff Jenkins and Damian Miller. Derrick Turnbow pitched a perfect ninth with two strikeouts for the save – his sixth in the last six Milwaukee wins. Unfortunately the Brewers lost 5-1 on Saturday and 3-1 on Sunday to spoil their opportunity to go above .500 on the season. They scored their lone run of each game in the first inning, but couldn’t hold on.